In the face of grief and loss, have you ever wondered how you will ever move beyond your tears and emptiness? Is it possible to find purpose and meaning after you have suffered the death of a loved one? "The risen Christ meets us in our tears." With these gentle words Trevor Hudson invites you to enter the deeply moving Gospel story of the garden encounter between the risen Christ and Mary Magdalene on the first Easter morning. In the Foreword, Dallas Willard describes Trevor Hudson as "remarkably gifted at unrolling the contents of a scriptural story right into the midst of your life. He is an open soul…who is able to open other souls." 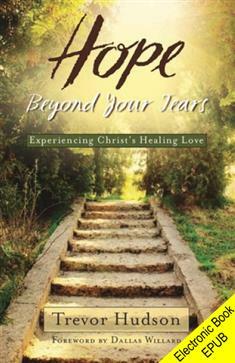 Through the meditations in this book, you will discover how Christ's healing love can help you find the hope that lies on the other side of your brokenness and grief. Each of the 10 brief chapters includes a focal scripture and meditation, a memory verse and breath prayer, and suggestions for further reflection. An excellent resource for a Lenten study, a grief support group, or anyone seeking a deeper understanding of Christ's resurrection and how it relates to their life.